Get inspired to embrace the snow with Ohdeedoh‘s round up of snowman alternatives. It’s the year of the rabbit, so celebrate Chinese New Year with this cute rabbit printable from Alpha Mom. (via Cool Mom Picks) Gung Hay Fat Choy! The Long Thread did the hard work for us by putting together a list of 30 printable Valentines that are cooler, cuter, and way more fabulous than the drugstore options. Find five adorable tips for being a little more French on Design Mom. Small for Big found adorable Love Monster artwork in the spirit of season. Speaking of artwork, we’re giving away a modern, minimalist, customizable piece of artwork from ModTots! 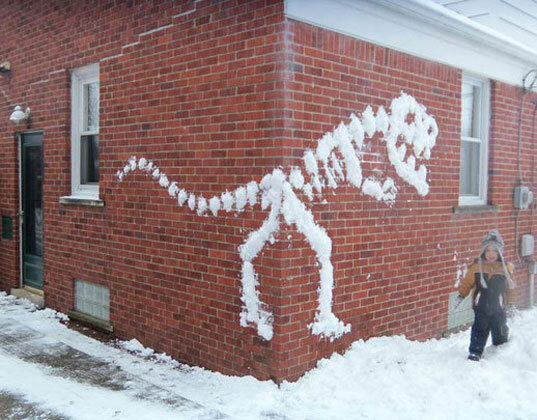 Get inspired to embrace the snow with Ohdeedoh's round up of snowman alternatives.